Can I use as well 19 Volt as 20 Volt chargers? This is possible, when the difference between the voltage your laptop needs and the one your charger provides is not greater than 1 Volt. So, if your laptop needs 19,5 Volt, both 19 Volt and 20 Volt chargers can be used. 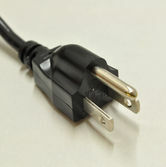 Furthermore, you must make absolutely sure that the plugs of the chargers are not only physically identical, but also the pin assignment is identical, ie the pin, which is positive, it should be the same with the other charger. Be careful with chargers that have more than two pins, often a control signal is used here. Additionally, the replacement charger should be able to provide at least the same amount of power as the old one. If it is not specified on the charger, it can be calculated from the voltage and the amperage (W = V * A). Can I use chargers from other manufacturers for my Notebook? Generally you can use a charger from any manufacturer with any device, as long as the voltage and the plug are the same and the wattage is greater or equal to that of the original power supply. Whether you can continue using your old power supply depends on three factors. 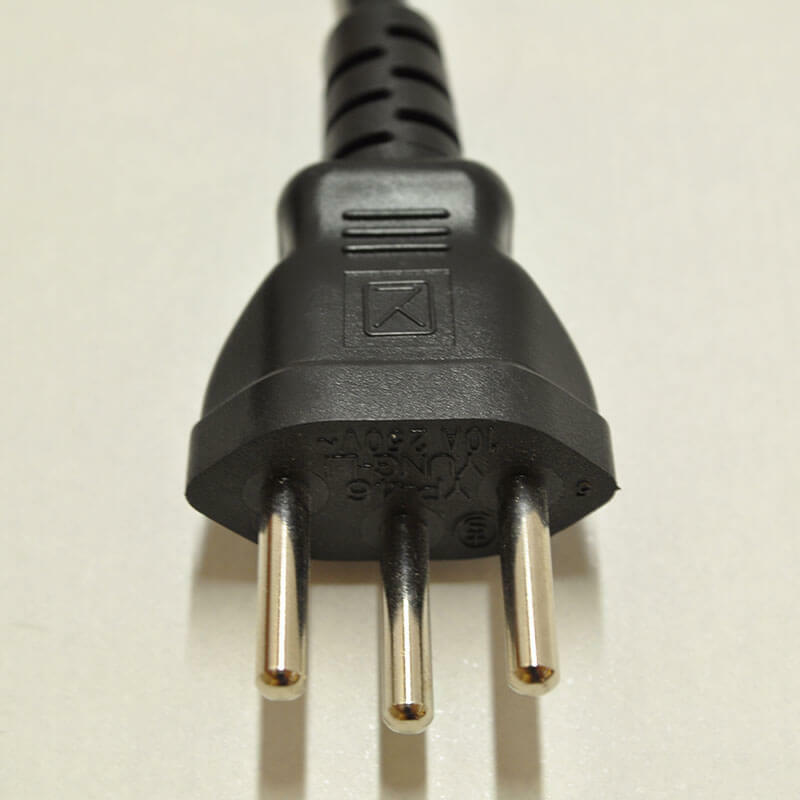 Is the plug identical to the one of your old Notebook? Is the wattage greater or equal then the one of the old power supply? The Voltage has to be the same, however a tolerance of +/- 1 Volt is acceptable. All the necessary information to calculate it can be found on the back of the power supply. To calculate the output power of the unit, use the specifications listed under "output". The power supply therefor has 90 Watt. How do I find the right power supply for my Notebook in your online shop? In our online shop you can choose your notebook in the menu on the left, then all compatible articles will be listed. If you can't find your model, you can also enter the manufacturer part number of your power supply in the search. I have a 65 watt power supply, can I also use one with 90 watt? Yes, you can use a power supply with a higher wattage, however you need to pay attention that the voltage doesn't deviate more than one volt from the voltage of the original power supply. It also doesn't work the other way around; your new power supply needs to have at least the same wattage as the old one. I would like to use my Laptop in my car, what kind of power supply do I need? To use your laptop in a vehicle you need a car-adapter, which converts the 12 Volt your car provides to 19 Volt most Laptops need. If there is no car-adapter, that is compatible to your notebook, you can use an inverter which generates mains power from the power, supplied by the car. You can then plug your normal power supply into it. My laptop battery is no longer charging, is my charger broken? Not necessarily, try taking your battery out (if possible) and starting the computer while connected to the charger in question. If it starts, the power supply is working but something in the Notebook is broken. There are also multiple indicator lights, on the laptop, whether it is being charged, also this can be seen in most operating systems. You can also use the indicator light found on some chargers to diagnose an issue with a cable. My power supply causes sparks when plugging it in, can this cause damage to my laptop? No, your laptop can not be damaged by this, the sparks are a result of the inrush current and are typical for switching power supplies. If you are still unsure, you can plug your charger in before plugging it into the device. My power supply is getting pretty hot, is that normal? Power supplies are subject to certain specifications and can reach up to 50°C. The most amount of heat is produced when working on the Notebook and charging the battery at the same time. As long as you can touch your charger without getting burnt, its temperature is probably within specification. However, it is most important, that the heat can be dissipated, therefor you should never put your power supply under a blanket or in a closed drawer. My USB-C charger will not charge my device correctly. Oftentimes the reason for this is, that with USB-C all devices have to agree on the current and voltage used for charging. Therefore, all involved devices must support USB Power Delivery, so that enough power can be transmitted to charge devices such as laptops. The cable used for charging is also part of these devices, which means you have to make sure your cable supports USB-PD. If one or more devices do not support USB-PD a maximum of 15 Watt can flow. What is the difference between the Apple MagSafe 1 and the MagSafe 2 connector? 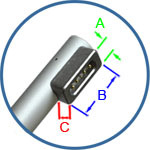 The middle Pin on the MagSafe 1 connector is a bit thinner, than the others, whereas on the MagSafe 2 all are the same size. In comparison to the MagSafe 2 connector less wide but a bit taller. Before the L shaped MagSafe 1 there was also a T shaped one however power supplies with it are no longer produced. The ones with the L shaped MagSafe 1 connector can be used instead. What meaning do the test marks on the power supplies have? 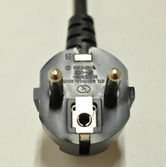 The CE-mark confirms, that the power supply is compliant with all EU regulations. 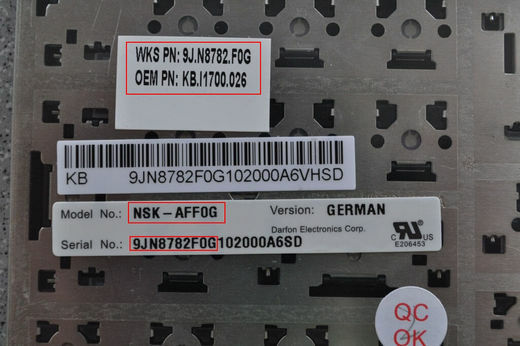 If the CCC-certificate is present, the power supply may be im- or exported to and from China. The NOM mark is issued by the NYCE. The NOM (Normas Oficiales Mexicanas) is mandatory in Mexico. The PCT-certificate is mandatory for importing or exporting to or from Russia. The PSE-test mark is mandatory in Japan and is issued by the Ministry of Economy, Trade and industry. The Singapur Safety-Mark is issued by the technical inspection agency of singapur. The UL-certification mark for sustainable products indicates, that a product has been tested by the UL Environment Inc. and is compliant with their testing criteria. What types of mains plugs can I order? 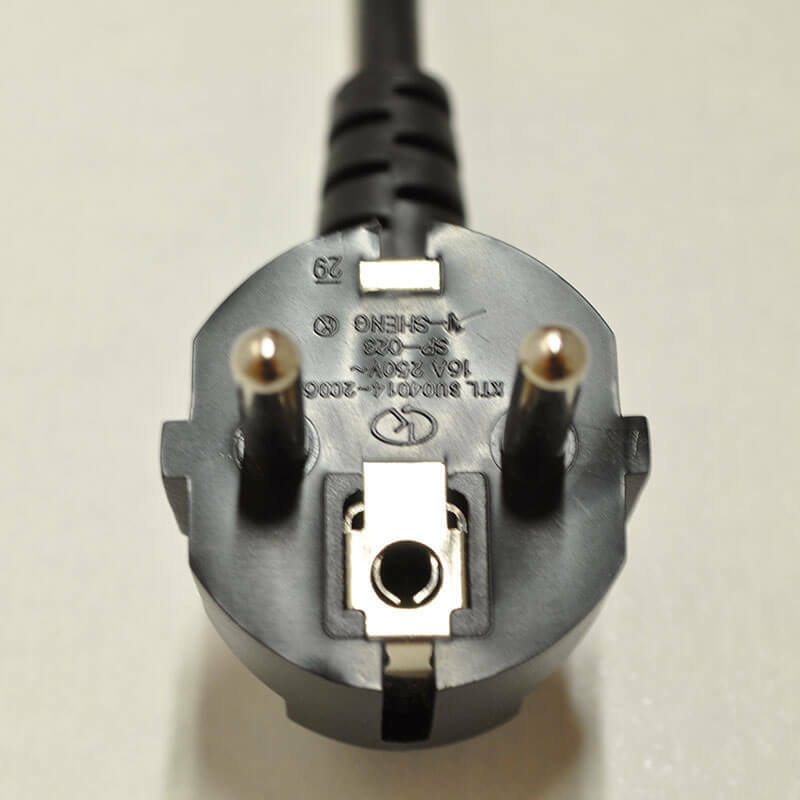 Here is a list of country specific mains plugs, which we can deliver with your new power supply. 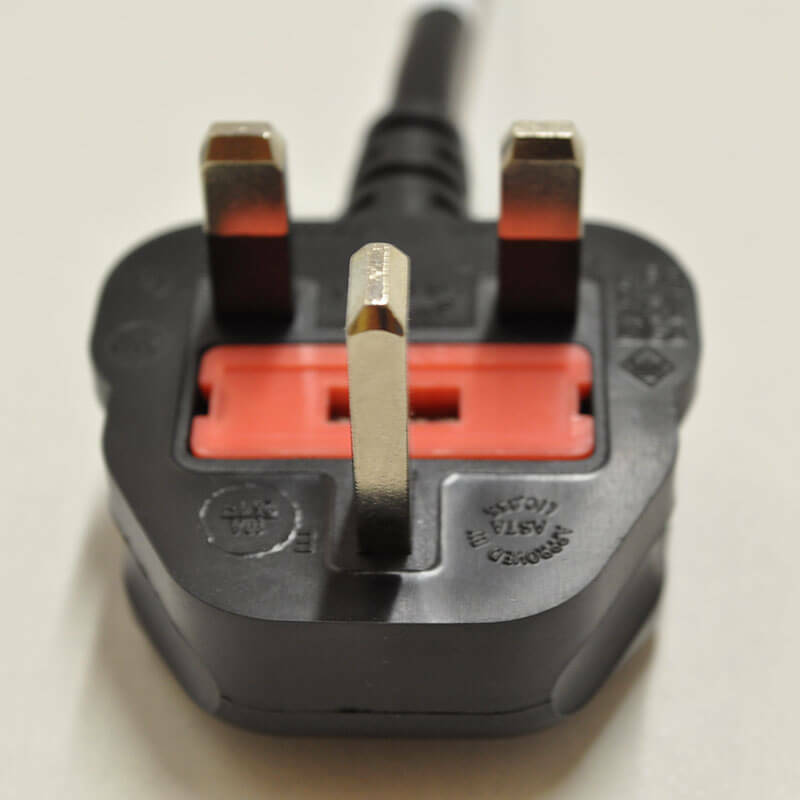 Please note, that you can not order the mains plugs on their own! Why does the plug of my new power supply not fit into my notebook, even though the part number is the same as the old power supply? You ordered using the part number of the power supply manufacturer (DELTA, LiteOn, …) and not the notebook manufacturers part number. 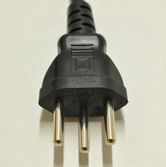 The power supplies are often bought by the Notebook manufacturers and then outfitted with different plugs. 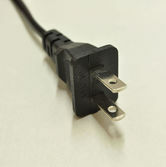 These plug variants are no longer considered in the part number of the power supply manufacturer. 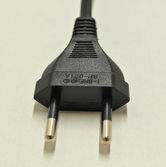 An example: ADP-90MD H is sold by Acer with a plug with a 5,5mm outer and a 1,7mm inner diameter but other brands sell it with a 5,5/2,5mm plug. Will my battery charge faster with a power supply that has a higher wattage? No, because a circuit in the Notebook controls how much power arrives at the battery and not the charger. Do I need a new ac adapter after installing a new battery? No, not necessarily. Just keep in mind that you have to have the suitable voltage. Does a new battery have its full capacity when shipped? New batteries are usually shipped partially charged and should be fully charged before the first usage. More information in the FAQ: "What do I have to consider with a new battery?" What do I have to consider with a new battery? How can I dispose of my old batteries? Batteries cannot be disposed of like normal waste, because they contain substances like mercury and lead. They have to be returned at the appropriate place for example in a store or a municipal collection point. How do I calibrate my battery and what does it do? To calibrate your battery, you will first have to charge it completely, then discharge it and finally charge it again completely. When discharging the battery make sure your Notebook is not trying to conserve battery life or going into sleep mode. Calibrating your battery fights the so-called memory effect, which reduces your battery capacity. It can also fix an incorrect representation of battery life in Windows. How do I reset the internal battery of my laptop? If the battery from your laptop is causing problems, a battery reset can help. To do this, first disconnect the AC adapter from the device and turn it off. Then you will find the "battery reset pinhole" on the back. Use a paper clip to press the hidden button for about 4 seconds. To ensure an undistorted result, leave the device without power for about 5 minutes. Now you have successfully reset the battery of your laptop. How do I take care of and charge my battery correctly? If you mainly use your laptop while it?s connected to mains, you should remove your battery and only charge it every one to two months. Don?t fully discharge your battery, because this can lead to a depth discharge. Charge the battery again, when between five and seven percent of charge remain. If possible charge your battery while the notebook is turned off. The optimal temperature for batteries is between 10 and 30°C, this range is usually exceeded in a powered-on notebook. If you have multiple batteries for your device, rotate between them. After being uncharged for a while, the battery needs about two to three complete charge cycles to reach its full capacity again. Avoid high temperatures for example due to direct sunlight or being left in a hot car. High temperatures increase the self-discharging rate. Rechargeable Lithium-Ion batteries, which are found in nearly all modern electronics, have a limit of somewhere between 500 to 1000 charge cycles. However, turning your laptop on and off while plugged in is one charge cycle. This is why we recommend removing the battery when using the device plugged in for a longer time. Furthermore, it would be optimal to never fully charge or discharge your battery, but rather to keep it between 20% 80% charge. 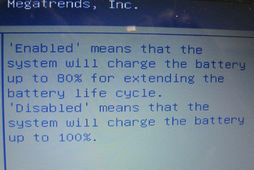 Some manufacturers integrate a battery protection function in their notebooks. This function only allows charging up to 80% capacity to prolong he lifespan of the battery. The so-called memory-effect of a Lithium-Ion battery can be disregarded in normal use, a complete charge after a complete discharge is not needed. On the contrary for many modern devices the opposite is true, it is best to keep the charge between 20% and 80%. This is due to the sensitivity of Lithium-Ion batteries to depth discharge and overcharge. However, in most devices control electronics prevent the user from making any grave mistakes. For example, Apple implements a function which charges the battery as fast as possible up to 80% but charging slows down a lot after that. This conserves the lifespan of the battery at the cost of charge time. One thing that should be avoided though is leaving your device plugged in for many days in a row. The battery should be discharged once in a while to move the ions inside. How fast is the self discharge of a battery? Even if the notebook is turned off, there can still be a small current flowing, leading to a depth discharge of the battery. The battery will discharge between 0.5% and 1% per day. This can lead to a premature aging of the battery and in the worst case its defect. How long does it take to charge a battery? Usually a complete charge takes between 30% and 50% longer than a complete discharge. Of course, the charge time depends on the capacity of the battery. A 2200mAh battery takes only half as long as a 4800mAh battery to charge. With a 2200mAh or 2400mAh battery this would result in about 2 to 4 hours. There are also high-performance batteries with up to 9000mAh of capacity, that can take up to 7 hours to charge. How long does the charge of a battery last? This is a question, that is hard to answer, because it depends on a lot of different factors such as CPU, Display, GPU. Usually a 15.6" notebook consumes about 20W when using the battery. A 17" unit can also use a bit more. With the 20W of power consumption this battery would last about 2.5 hours. Reduce the brightness of your screen since it consumes most of the power in a laptop. Turn off Wi-Fi or Bluetooth when it is not needed. Disconnect external devices like hard drives when not in use. 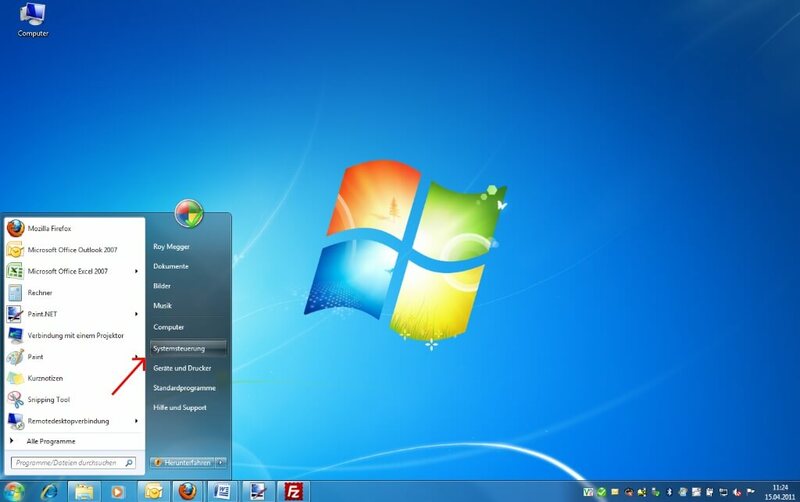 Deactivated unnecessary tools or programs, that are running in the background. How long is the lifespan of a battery? The life span of a Lithium-Ion or Polymer battery varies depending on usage between one and three years (500 to 1000 charge cycles). How many cells is a battery made of? The cell count of a battery is actually not that important, because only the capacity and the voltage give information about the performance of the battery. Usually the cell count is not specified on the battery but can be easily derived from its technical specifications. First of all, one has to know, that batteries are normally offered with either 4, 6, 8, 9, or 12 cells. 10.8 Volt batteries contain at least 3 cells connected in series, and therefore their cell count has to be a multiple of three. With 14,8 Volt batteries it is the same, only with 4 cells in series. Also, cells found in modern batteries usually have a capacity of 2200mAh or 2400mAh, rarely 2600mAh. Why have I been shipped a 10,8 Volt battery instead of a 11,1 Volt one? May I carry my battery in hand luggage? There are some complicated rules on this issue due to flight safety. In general, however, they are on the safe side with their original notebook or mobile phone battery. Lithium-ion batteries with a maximum capacity of 100 watt hours can be easily transported. In case of uncertainty, we recommend contacting the airline to avoid complications on the day of travel. New batteries are usually shipped partially charged. The battery should be completely charged before usage. Afterwards drain it down to 10% charge and fully charge it again. Now it is ready for use. Rechargeable Lithium-Ion batteries are the most commonly used energy storage and offer a high energy density. What is a depth discharge? A depth discharge usually damages the cells of a battery and, depending on the electronics used in the battery it cannot be recharged afterwards. Before a long period of not using the battery it should therefore be fully charged to avoid a depth discharge. What is the difference between EDP and LVDS? 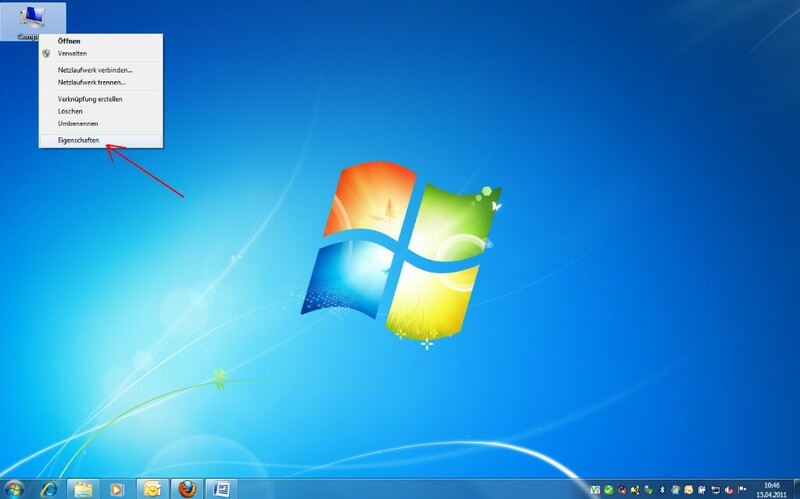 Both are methods of connecting internal displays in devices like laptops or all-in-one PCs. LVDS stands for Low Volatage Differntail signaling and only specifies, that signals are transmitted using a lower voltage than usual. This allows higher data rates due to lower crosstalk and interference. When talking about the connection of a display via LVDS, the protocol FPD-Link (Flat Panel Display Link) is usually meant, which uses LVDS. This protocol has been introduced in 1996 and has been the main way of connecting internal displays for a long time. However, with the steady increase in the resolution of displays, FPD is reaching its limits. That is why in 2008 Embedded DisplayPort (EDP) has been introduced. It is based on the external connection DisplayPort and is constantly being refreshed. It has no problem connecting displays with a 4K resolution at over 60Hz refresh rate, whereas LVDS is over at FHD (1080p). What is the difference between matte and glossy displays? The difference is in the surface of the display. A matt display has a slightly ruff surface. This greatly reduces reflections, which is very beneficial for working in rooms with bright lights or outdoors. Additionally, fingerprints and dust are not so visible. However glossy displays also have their advantages. Due to the extremely smooth surface the picture is a bit sharper and colors and contrast are also better, provided the display beneath the coating is good enough. Professional movie and photo editing monitors often use a glossy display in combination with a large anti-glare shield for the optimal image. What meaning do the battery test marks have? The CE certification mark, confirms that the battery is compliant with all guidelines of the European Union. 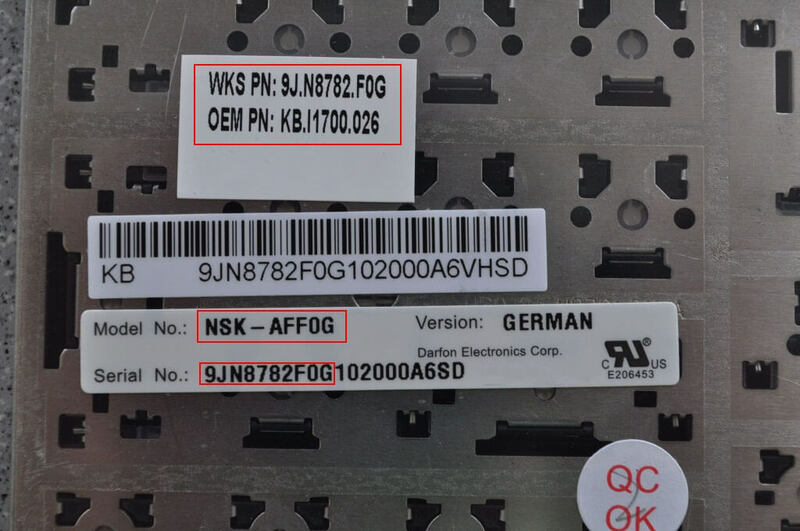 The RoHS mark confirms, that the battery complies with the EU-regulations for the restriction of the usage of certain dangerous materials in electronic devices. The REACh certification mark confirms, that the chemicals used conform to EU regulations. The safety test according to UN38.3 has been passed. The battery is safe for transport aboard a plane. What specifies the capacity of a battery? Manufacturers often print different capacity ratings on their battery to comply with different norms. We will quickly explain them on the basis of an Acer battery. Design capacity: This value specifies the maximum of energy that can be stored in the battery. This value is used for statements on the runtime of the device. Rated capacity: specifies the theoretical capacity of the battery according to IEC norm 61951. Afterwards charge still remains in the battery. CE-capacity: complies with EU regulation 765/2008, usually the rated capacity. You can use this battery in your Notebook without a problem. Both voltages are compatible with your notebook. Differences of up to one Volt between the rated voltage printed on the notebooks original battery and the replacement part are safe. Therefore 14,4 V batteries are also compatible with 14,8 V ones. However, the same is not true for 10,8V/11,1V with 14,4V/14,8V ones. The difference is due to a different cathode material being used in the battery cells. Using Lithium-cobalt oxide will result in 3,6V per cell while using Lithium-manganese oxide will result in 3,7V per cell. Why is my Samsung battery only being charged up to 80%? The Battery Life Cycle Extension Function prevents the battery from being charged more than 80%, this should extend the lifespan of the battery. 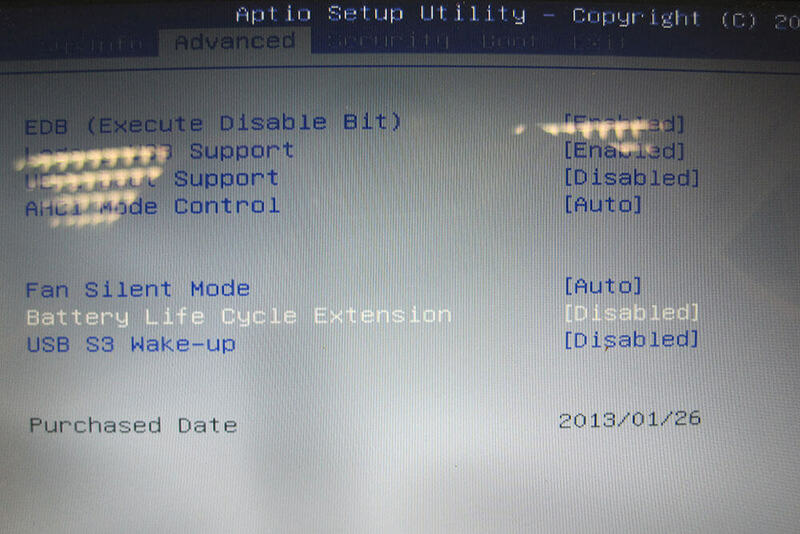 This function can be turned on or off in the BIOS. Why is there a different part number or a different notebook model on the packaging? The manufacturers cannot always print all replacement part numbers on their batteries that will be replaced. The same is true for the notebook models listed on the bill. Some batteries fit into more then 50 different devices. Do docking stations work even if they can only be delivered with a stronger ac adapter? Technically speaking, a more powerful power supply can be used without any problems and does not pose any danger to your device, as it always draws as much energy as it currently needs. The only disadvantage is the usually higher price of the more powerful product. My docking station came with a power supply. Can I use it to charge my laptop? Basically yes, you can use them to charge your laptop, however you have to make sure, that it has enough power to do so. To find out, if it has it, please compare the specifications on the back of the original power supply with those of the one, that came with your docking station. The output voltage should not differ more than 1 volt and the output power should be greater or equal to that of the original power supply. In our shop we also offer combinations of docking stations and power supplies. What is the difference between a docking station and a port replicator? First and foremost, the difference lies in the connection type. Port replicators connect via a universal port such as USB, making them compatible with many devices. Docking stations are connected to the device via a proprietary interface and are therefore often compatible only with a laptop series. However, this allows more functionality, such as the laptop can be closed, or a power button on the dock itself. 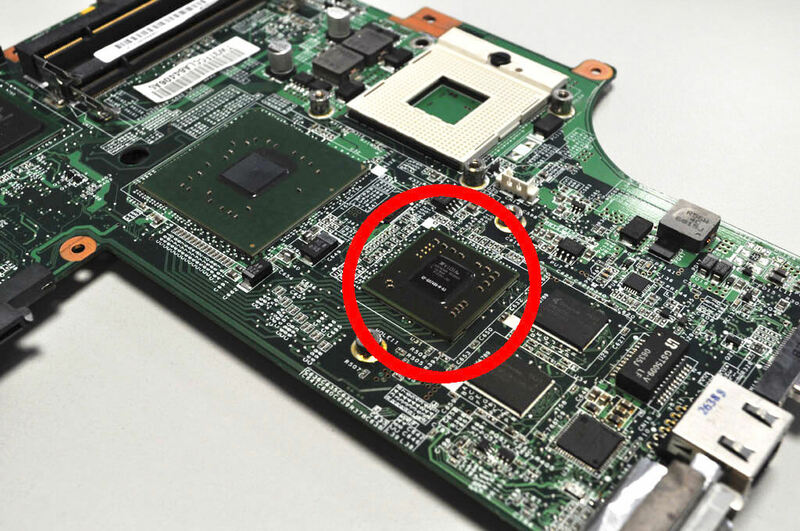 In addition, the docks are often like a cable, so the controller chip is in the laptop itself. This allows a higher bandwidth especially compared to USB. Often this is beneficial for connecting monitors and LAN. If you work with many different devices or you do not need much functionality, e.g. only USB and audio, port replicator is suitable for you. Advanced functionality tailored to your device is more likely to be found in a docking station. Port-Replicators which are connected via USB-C or Thunderbolt 3 often combine the benefits of normal Port- Replicators and Docking Stations. The standardized connection allows for compatibility with a multitude of devices, both connections have a high bandwidth. Therefore, you can not only connect USB-devices and card readers, but also LAN and multiple monitors. Additionally, they often allow for charging via the same cable used to connect them and even can turn the device on and off. Whether you are looking for a replicator or a docking station, you will find the right device for your laptop in our shop. Where can I download drivers for WiFi? Can I pay in advance without hesitating? Can I trust in a fair business partner? How can I become a retail partner of IPC-Computer? Our reseller registration can be found here. How can you offer so many spare parts at such a good price? Many spare parts are ordered directly from the manufacturer. Because we often order large quantities, we are offered attractive pricing, which we will gladly pass on to you. I want to order a spare part via the replacement part number. What do I have to look out for? We want to get the part you need to you as fast as possible. Please always enter your notebook model number in the comment field of your order when ordering via the replacement part number so we can ensure compatibility. Please also use the pictures of the product to check the compatibility. Should you still be unsure, just let us know we will then check exactly if it is the right part. In which online shops can I order from IPC-Computer? My DC-in socket is broken. Where can I order the right socket in your shop? Power sockets are often mechanically damaged. Since they cannot be associated with a notebook model they have to be compared using technical specification (inner-/outer diameter, number of pins). If you can exchange the socket yourself you can find spare parts in our shop. Please carefully compare the specification in the description and pictures to ensure you order the right one. We will gladly repair your device for you. If you decided for a repair done by our specialists you can sign your notebook up here. EOL means End Of Life. The lifecycle of this product has ended and it is no longer produced by the manufacturer. The reason usually is that, this would no longer be profitable. What does left/right mean regarding spare parts? When viewing spare parts in our shop, you sometimes find the notion "left/right" added to the title of e.g. rubber feet or fans. This describes on which side of the device the particular spare part will be installed. Important: left/right when looking at the device from the front. What shipping time and costs do I have to expect? Because we keep a lot of items in stock in Seelbach, Germany, we can ship orders, that arrive until noon at the same day. This means that you can expect your order to arrive the next day if you don?t live more then 700-800km away from our warehouse. More information on shipping time and costs can be found here. Where can I find a manual for the correct installation of the replacement part I ordered at IPC-Computer? 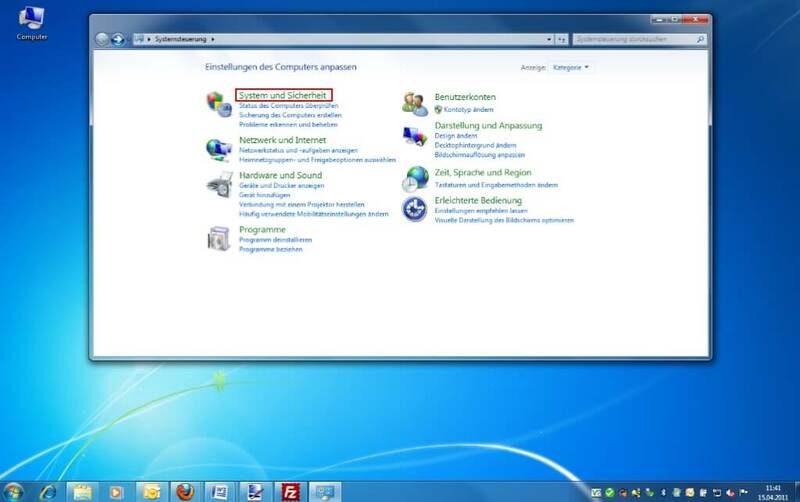 On our YouTube channel you can find many videos about the installation of different parts, however they are in German. The repairs done in these videos are only example and details can vary depending on your Notebook. If you are unsure about repairing your device you can bring it to a specialist. Where can I find the model number of my Notebook? 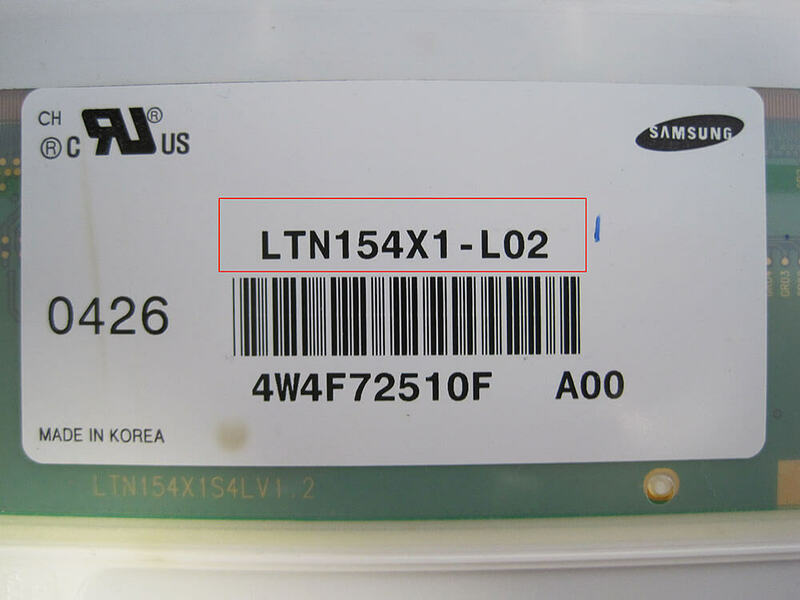 The exact model number is usually found on a label on the back of your device. Here you can find some pictures with examples. Why can I not find the spare part I am looking for in the IPC-Computer shop? You can search by using the model-navigation on the top left of the site. If you know the replacement part number of the part you need, you can enter it in the quick search. However, we still need the model number of your notebook to check the compatibility, please enter it in the comment field of your order. Why can't I order mainboards and displays in your shop? Due to warranty reasons we cannot offer any mainboards and displays in our online shop. However, we will gladly repair your device in our workshop. We offer flat rates for a repair which include the part, labor and taxes. If you decided on a repair you can sign your laptop up here. Can I upgrade or exchange the graphics card of my notebook? External graphics cards which can be plugged into the notebook. Internal, integrated graphics, which are a part of the CPU. With the first type, an exchange of the GPU is usually not a problem, some manufacturers have their own type of proprietary connectors for external GPUs you can purchase and connect one from them directly. There is also Thunderbolt 3 which is present on some modern Notebooks. It allows the connection of an external graphics card from any vendor. If your GPU is soldered on the mainboard either as a dedicated GPU chip or as part of the CPU an upgrade is almost impossible since it would have to be soldered on and also usually only one chip is compatible with the motherboard and firmware. Even if the GPU is in a slot like the MXM-slot, which is often found in older laptops, an upgrade is usually not possible. This is due to some measurements not being standardized, the cooling solution not being able to handle a more powerful card or firmware issues. 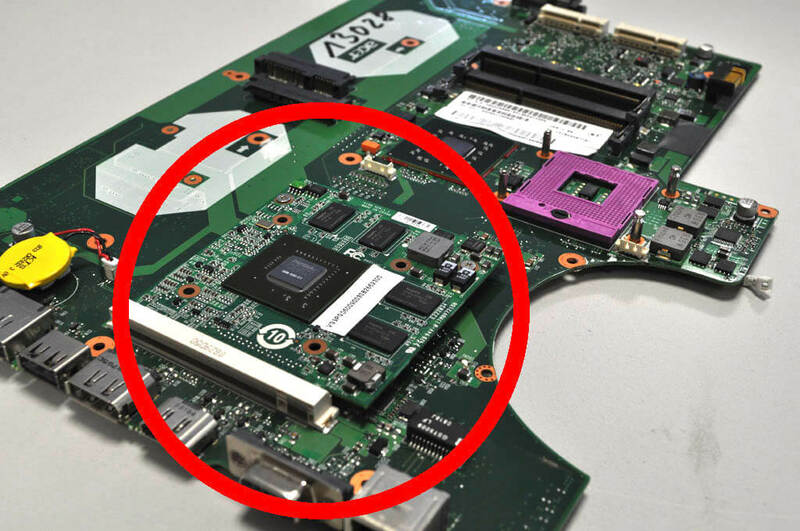 A GPU soldered directly on the Mainboard of the laptop. My Display stays off, is my graphics card defective? A Display that stays completely dark is often an indicator for a broken graphics card. To make sure it is not a defect of the Display itself, plug the Notebook into an external monitor. If it displays a picture the graphics card is not defect but your Laptops internal display. In most cases a broken graphics card cannot be repaired, it has to be replaced. Are the S-ATA standards compatible? Yes, the SATA standards are compatible to each other, however the slowest involved connection type will always be used. 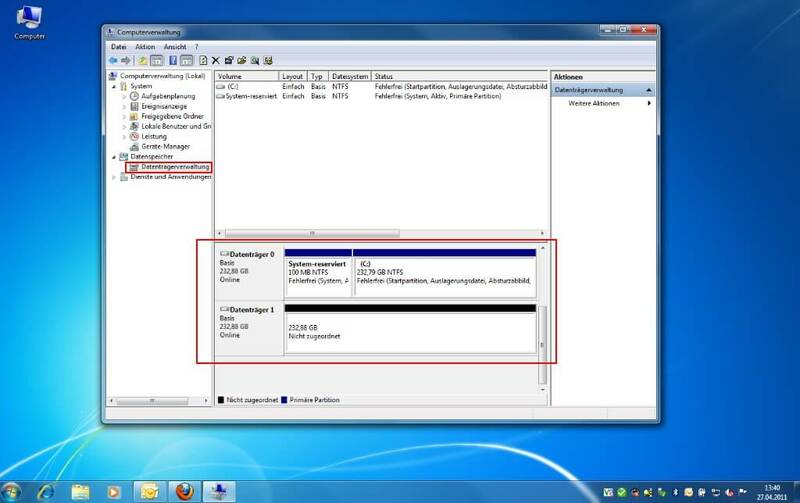 This means that connecting a SATA 6Gb/s SSD to a SATA 3Gb/s controller will severely limit its peak performance. More information can be found in the FAQ ?What is the difference between P-ATA (IDE), S-ATA, S-ATA II and S-ATA III?? How can I format or partition a hard drive? You can use the disk management utility built into Windows 10. 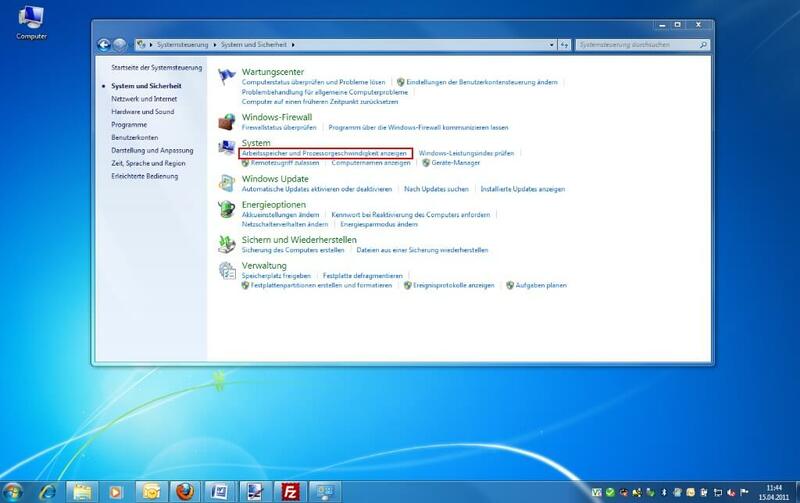 Select Computer Management and then Disk Management. After a short loading time you will be shown all connected drive with their respective partitions. Right click on the unformatted drive and click format. Follow the wizard to complete the formatting process. How can I make sure my data is safe and prevent data loss? Just like detailed in the FAQ ?What is S.M.A.R.T. and what is it for?? S.M.A.R.T. is an industry standard for the constant monitoring of disk parameters like temperature and read- or write errors. With its help errors can be detected before they happen, the data can be backed up and the drive replaced. However even with careful monitoring the death of a hard drive can always happen unexpectedly. This is why it is very important to back up important data like invoices or family photos to an external hard drive or the cloud. This should be done in regular intervals so that you always have a complete backup of your data. If your hard drive breaks a data recovery is expensive and time consuming and not always possible. The operation in a notebook does not prolong the life of a hard drive. First this is because of the shock and vibrations when moving the device. This can cause the read/write head to crash into the platters in the wort case breaking this head. Move your device carefully while it is on, or even better avoid moving it at all. Secondly, due to the compact formfactor notebooks usually get very warm. That is why putting your device on a notebook cooler can improve the performance and lifespan of your device. Modern solid-state drives are a lot more resilient to shock and heat and therefore more durable, than traditional hard drives. What is S.M.A.R.T. and what is it for? How do I swap a hard drive and what do I have to watch out for? When swapping out your hard drive please also attach the mounting bracket from the old one to the new one. 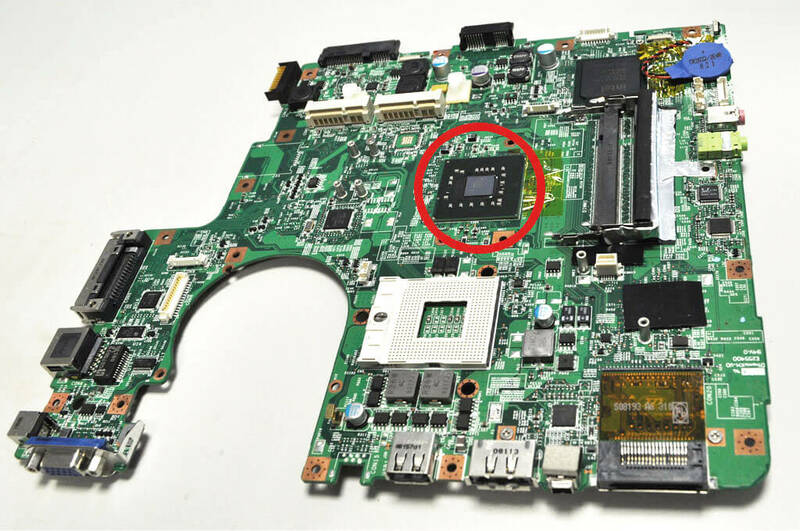 You also have to be extremely careful not to damage any of the plugs and connectors on the mainboard or the drive. What do I have to look out for with M.2 drives? First thing to consider is the size of the drive. Most M.2 SSDs come in the 2280 form factor. The first two digits indicate the width of the drive in millimeters and the last two, sometimes three digits its length. Other sizes for M.2 cards are 2242, 2260 and 22110, which is sometimes found in servers. The other difference is in the protocol the drive uses to communicate with the PC. Often less expensive M.2 SSDs still use the SATA protocol, which is also used by drives with more common formfactors. Even though it is rather slow for an SSD, it should still be fast enough for most users. Modern, high-performance M.2 drives use the NVMe protocol which is transmitted via PCI Express. Oftentimes slots, which support PCIe also support SATA, but bevor buying a drive, double check that it is fully compatible. There are also certain keys, which can give away information about the type of connection used. An SSD with only the M-Key usually uses PCI Express, whereas an SSD with the M- and the B-key usually uses the SATA protocol. The A- and E-key is often used for Wi-Fi cards. What file system should I use? The various FAT formats are only used in USB sticks or memory cards. What hard drive can I install in my Notebook? You have to pay attention, that your hard drive uses the same connection type and form factor or height. With the very common 2.5? hard drives you have to check whether your notebook still uses the old PATA standard or SATA and also you have to check what height is compatible since there are multiple heights. 7mm, 9mm and 15mm are the most common ones. 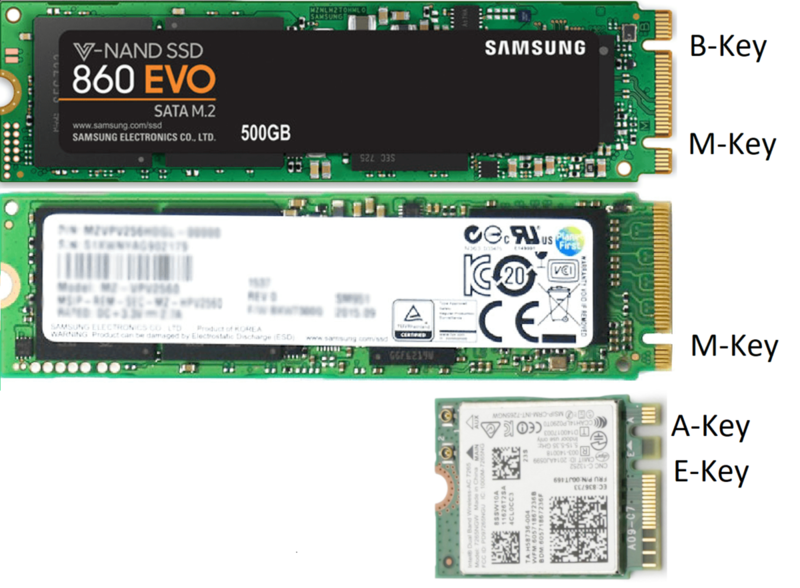 For SSDs there are also small form actors like mSATA or M.2. With the latter one you have to check if the slot supports the SATA and/or PCIe (NVMe) protocol. The only thing that is not limited is the capacity and speed of your new drive. What hard-drive tools are there? This tool reports all kinds of data concerning the hard drive, like power-on hours and S.M.A.R.T. values. This tool offers a great sector test, whose result is displayed graphically. When installing a Samsung SSD in your notebook you can use their ?Magician? Tool to migrate your data to the new SSD. It is included in the delivery of our Samsung SSD's. To increase the reliability of hard drives and the data security hard drive manufacturers have developed the Self-Monitoring Analysis and Reporting Technology (S.M.A.R.T.). it can read important information about the drive like temperature, power-on time and read-/write errors. What is the difference between P-ATA (IDE), S-ATA, S-ATA II and S-ATA III ? The difference is in the type of connection and its speed. P-ATA/IDE (IDE 100/133) Parallel connection with transfer rates of up to 1 Gbit/s or 100 MB/s to 133 MB/s. S-ATA (SATA 150) Serial connection with transfer rates of up to 1.5 Gbit/s or 150 MB/s. S-ATA II (SATA 300) Serial connection with transfer rates of up to 3.0 Gbit/s or 300 MB/s. S-ATA III (SATA Revision 3.0) Serial connection with transfer rates of up to 6.0 Gbit/s or 600 MB/s. Where is the difference between HDD, SSD and SSHD? HDDs or hard disk drives are the most common way of storing large amounts of data in a computer. The data is stored on spinning disks coated with a magnetic material, when writing the polarization of a small part of this coating is reversed by the read-write-head. The polarization can be read by the head later on, to retrieve the data stored on the disks. Since the platters are turning, the read-write head often has to wait until the right part of the disks is under it, to read/write data. This makes HDDs a relatively slow storage medium, especially for randomly accessed data. However, through continuously shrinking the individual magnetic parts and increasing the number of platters per drive, a lot of data can be stored on them. In 2017 it was already up to 14TB per drive. Unlike HDDs, SSDs or solid-state drives have no moving parts. The information is stored with the help of transistor. This means that no time is wasted waiting for the right part of the platter to arrive to read/write to/from it, therefore SSDS are a lot faster. For one of the fastest SSDs on the market the manufacturer claims speeds up to 3,5GB/s, that is more than 16 times as much as a modern HDD. Additionally, SSDs are much more rugged and long-lived due to the lack of moving parts. Unfortunately, they are a lot more expensive per GB than HDDs and the biggest consumer drives are "only" 4TB in size. SSHDs, which is short for solid state hybrid drives are a combination of HDDs and SSDs. A small SSD, often 8 to 16 GB is used to cache the data for a 1 to 2 TB HDD. In the cache frequently accessed data and data, that has just been written is stored making the drive a lot faster, when accessing this data. However, when accessing infrequently used data or writing a lot of data to the drive, the solid-state cache can no longer be used and performance drops to the level of an HDD. If you are interested in buying a new drive, our shop has a lot of different types of drives. Why doesn't my new hard drive show up in the operating system? New hard drives are often delivered unpartitioned, the user can decide for himself what kind of file system he would like to use. The Windows Explorer will not recognize these and won?t display them. You can take a look at our FAQ ?How can I format or partition a hard drive?? to partition and be able to use your new drive. Why is the size of my harddrive that Windows reports less that what the manufacturer advertised? Harddrive manufacturers calculate the size using a base of one thousand. That means that 1 KB = 1000 Byte. However the more common calculation uses a base of 2 to the power of 10 or 1 Kb = 1024 Byte. 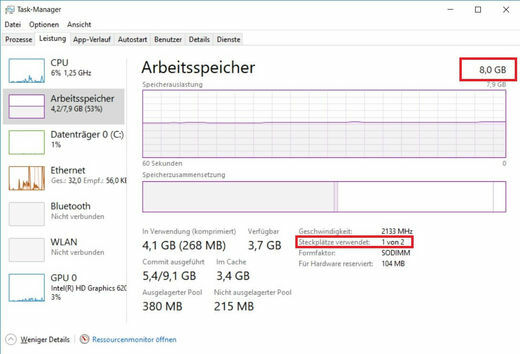 This small difference appears when going from Byte to KB, to MB and to GB that is why in the end there is a sizable difference between advertised and usable capacity. Can I exchange the Inverter myself? This is possible with a bit of technical knowledge and a manual specifically for your notebook. ATTENTION: The output of the Inverter supplies up to 1000 Volt. The unit must not be on and the power supply and battery must be disconnected, when attempting this repair. Voltage this high could lead to death and serious injury. How can I tell if the Inverter is defective? The inverter is usually defective when the screen turns of suddenly and doesn't come back on. If there is a short red tint, flickering, or change in brightness it usually isn't the inverter, but rather the CCFL tube. How do you test if the Inverter cable is broken? Inverter cables can be tested with a simple continuity tester. If spare parts are available the cable is exchanged otherwise it has to be repaired. An Inverter is responsible for the start and operation of the CCFL-tube. It converts 12 Volt to the 1000 Volt the CCFL-tube needs to start and the 600 Volt it needs to operate. Can I buy single key-caps for my notebook keyboard? No manufacturer sells single key-caps, only whole keyboards. There are way too many designs, holding-clips variants, color differences. There are multiple thousand different keyboards from different manufacturers. Can I exchange my keyboard myself? This is technically possible, to help you with the repair we have some exemplary instructions. Is it possible to install a keyboard with a numpad in my Notebook? 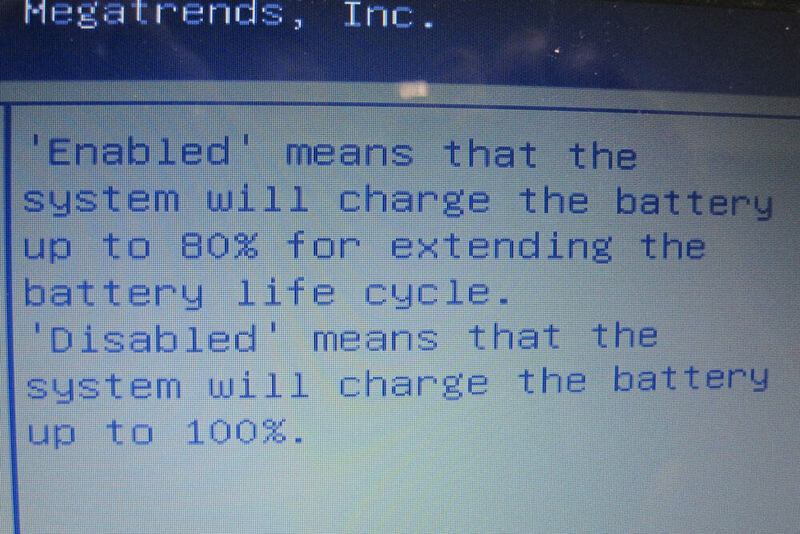 You can only install keyboards intended for the use in your model. So, when your current keyboard does not have a numpad you will not be able to install one with a numpad, since they would be too large. The same is true for keyboards with numpad, ones without numpad would then be too small. However, there is the option to use an external numpad connected via USB. What function does the FN-key on my keyboard have? The FN-key is similar to the shift or the alt-key. Oftentimes there are secondary functions marked by a different color, which can be accessed by pressing the FN-key and the respective key. Usually these are functions like volume up or down, mute, changing the brightness of the screen or media controls. Where can I change the keyboard Layout in Windows? In Windows 10 hit the Windows-key and type "language", then hit the enter-key. In the settings menu that opens klick the plus sign next to "Add a language" and select the language you wish to add. It could be, that the Layout might still need to be downloaded, so make sure your computer is connected to the internet. When you left-click on a language, further options appear such as making it the default language. When you have two or more available keyboard layouts, there will be the abbreviation of the layout you are currently using in the bottom right in the taskbar. You can change the layout by clicking on it. 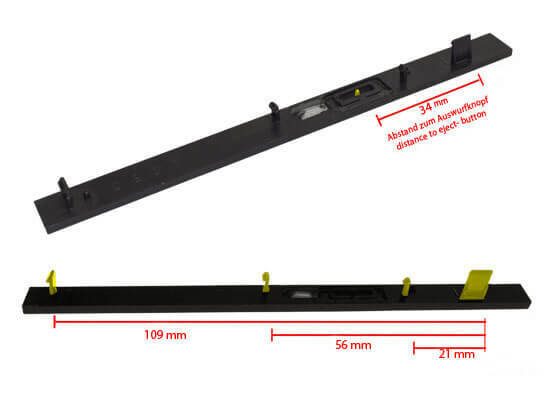 Where can I find the part number of my keyboard? 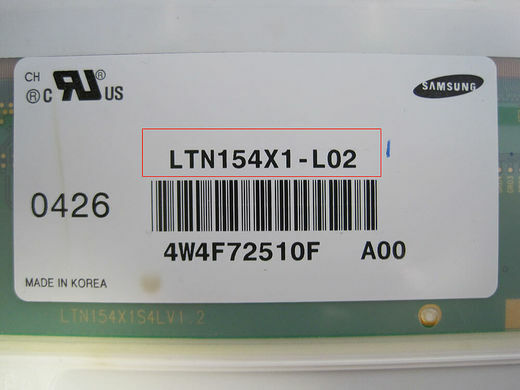 The part number can be found on the back of the keyboard. To view it the notebook has to be disassembled. The picture below shows a possibility, what the labeling might look like and which numbers are relevant for your search for a new keyboard. With this number you can find a replacement in our shop. Where can I find the right keyboard for my Notebook? The easiest option is to search for your notebook model in our Shop. We will then list all the keyboards, that are compatible with your device. Should you not be able to find the keyboard like this, you can try searching for its part number. Which Layout does my keyboard have? 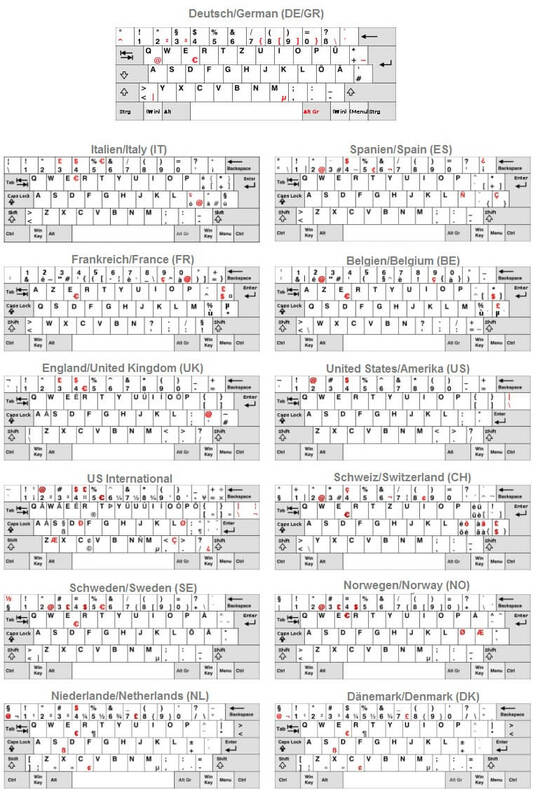 Most countries have their own keyboard Layout. Usually the device has the layout of the country it has been bought in. The English layout can be recognized by the first six Characters of the top row of letters. That's also why it is called QWERTY-layout, another common abbreviation for it would be ENG-layout. Why does my keyboard no longer work? There can be multiple reasons for its failure. It could be an error in your operating system, for example, when the wrong input language is selected. 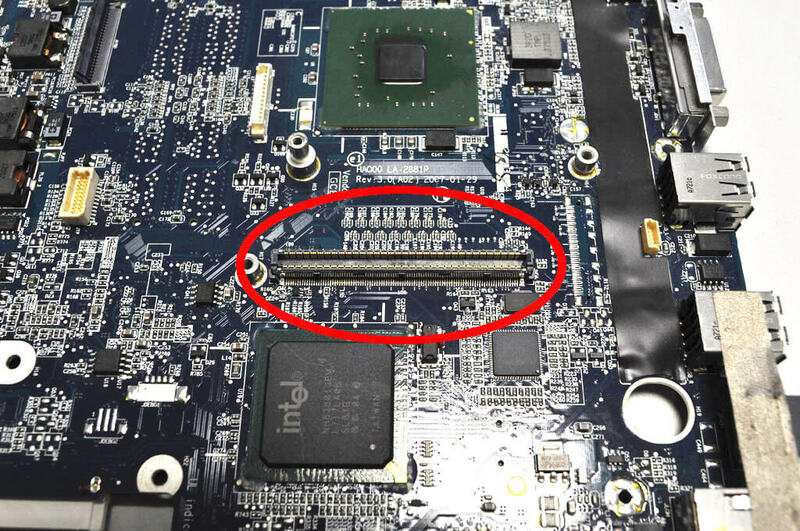 The keyboard controller IC on the Mainboard could be damaged. Dirt, like food or dust could be stuck in the keyboard. Can I remove or swap my optical drive myself? This is possible if you have the right skills and feel confident enough to do it. You can try this by removing and reinstalling your current optical drive. However, it is very important to motorize the position of all screws and brackets, by using the wrong screws you could potentially damage your drive or computer. Additionally, the following videos might help, even though they are in German. I have a DVD-burner in my Notebook, can I exchange it for a Blu-Ray burner? This is technically possible, although there are a few things you need to consider. First your DVD drive needs to be connected via SATA and not PATA, because that is what all Blu-Ray drives use. Second you should test, whether your system meets the requirements of playing a Blu-Ray with a tool like BD & 3D Advisor by Cyberlink. My optical drive will no longer open, how do I get the CD out? That your optical drive won't open could be due to a program using it. Try killing it using the task manager. The you should be able to open the optical drive again. Should this method not work, try opening the drive by inserting something like a paperclip into the emergency eject hole in the front bezel. However, this method does not work with slot in drives. In this case or in the case that the drive still won't open you will have to consult a specialist. What does GBAS stand for? Optical drive manufacturers used o use different types of bezels for their drives, which made it hard wo find one for your drive. That is why the ?General Bezel Assembling Standard? 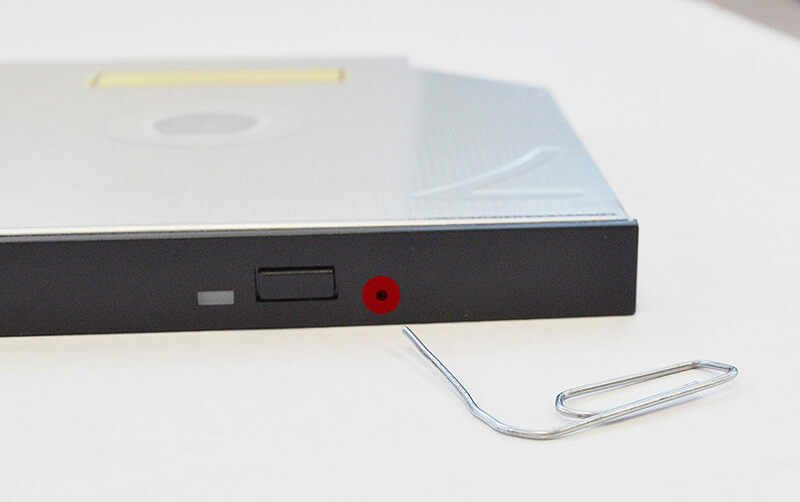 has been created, now most bezels should fit on most optical drives. What optical can be installed in my Notebook? 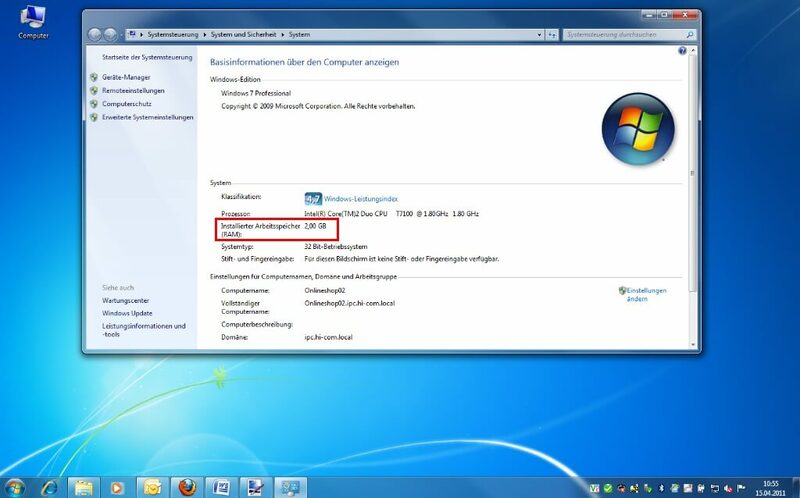 Does your laptop meet the System requirements? SATA drives can not be used with a PATA controller and vice versa. Before installing your new optical drive, make sure you attached the mounting bracket from the old drive to the new one. Most optical drives are sold without a bezel, make sure you attach the old one to the new drive. With the tool BD & 3D Advisor you can check whether your System has enough performance to play Blu-Rays. Which region code do I need? In Germany and GB region code 2 is used, in the USA and Canada it is region code 1. Further information can be found in this Wikipedia-article. Why can my DVD-drive no longer read DVDs but still CDs? In most cases this is due to the material fatigue of the laser head, due to this it can no longer focus the beam enough to read the track width on a DVD. However it still works with CDs because they use a wider track. Why is my new DVD drive not being recognized? First you should check, whether it is seated correctly in the slot, if not the pins could not be making contact. It could also be a problem with the firmware of your drive, which could lead to it not being recognized in the BIOS. If this is the case a new firmware has to be flashed on to the drive. If it still won't work thee is the suspicion, that your device drive might be broken. Cancelled: The order has been successfully cancelled. If you used prepayment, credit card or PayPal your money will be refunded shortly. Not in stock, reordered: The item you ordered is currently not in stock and is on backorder. It should be shipped to you shortly. Part's ordered: An order-related item has been ordered and should arrive shortly. Order will be checked: Your order is being check for compatibility and correctness of the address. Payment received: We have received your prepayment. Waiting for payment: We are waiting for your prepayment. 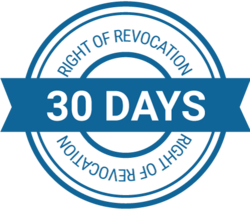 Up to two days can pass between issuing the transfer and it arriving. Concardis TEMP: An error occurred while trying to pay by credit card. Please contact us. Preparing: An error occurred while trying to pay with PayPal. Please contact us. Sent: Your order is on its way to you! The tracking code has been sent via E-Mail or can be found in the "My Account" section. Feedback required: We have a question concerning your order and are awaiting your answer to our E-Mail. 3D Secure is a technology used by banks, to make your online banking more secure. After entering the three-digit security code from the back of your card you are redirected to website, that is specific to your bank. There you will have to enter a password, a one-time key or provide another form of identification. Exactly which methods are possible or even mandatory is up to your bank to decide. If you want to use 3D secure is not up to you to decide, it is either implemented in the shop or not or required by the bank. The thought behind 3D Secure is that not all information needed to make a purchase is on your card. This make your card useless to thieves even for online purchases. It is known under different names such as "Verified by VISA". Why do I have to enter my model number when ordering? Most product groups are very specific, that is why we closely check for compatibility with your Notebook model. However, there are exceptions. Product groups like hard drives, RAM and optical drives are standardized. There are only a few specifications, that have to match up with your device. For example, if your Notebook now has a 2.5? hard drive which is 9,5 mm high and has a SATA connection, your notebook will fit all 2.5? SATA drives which are 9,5 mm or slimmer. Can I exchange my RAM myself? Yes, you can, it only requires a bit of technical knowledge and maybe a manual. We recommend letting a technician do it. There are notebooks where the RAM is located on the back of the machine, these often have an access hatch for easier installation of RAM. If the RAM is located underneath the keyboard a full disassembly of the notebook is required. Can I install different RAM modules, than the ones already installed? You can install RAM from a different manufacturer, as long as the specifications are the same. For example, when your computer currently has a DDR3 SO-DIMM module with a speed of 1600MHz installed, you should only use DDR3 SO-DIMMs with a 1600 MHz speed to upgrade/replace your RAM. It is possible to use different frequencies but the system will then use the speed of the slowest RAM module. What is the difference between DDR3 and DDR3L? The difference between the two types of DDR3 is in their supported voltages. Normal DDR3 requires 1,5 Volt, whereas DDR3L (L for Load reduced) also supports 1,35 Volt. This reduction in voltage results in a slightly lower power consumption. However, this reduction is so small, that the difference in battery life caused by using load reduced RAM even in laptops is hardly noticeable. It only makes a difference in data centers with hundreds of computers, each with up to 32 memory modules. Even though the power consumption difference is tiny, you have to watch out for compatibility. Systems, which only support normal DDR3 usually, work with DDR3L, too, because it also supports 1,5 Volt. But there are computers, especially laptops, which only support DDR3L. Normal DDR3 might work here, however this is not guaranteed and might come with some stability issues. So, if you are not sure, which type of DDR3 your system needs, it is better to buy the load reduced variant or consult an expert. What is the maximum amount of RAM my Notebook supports? Why does my notebook show less RAM, than I have installed? What RAM do I need for my Notebook? Alternatively, you can remove the currently installed RAM and read the necessary specifications from the labels on them. Should there be no label or should you not be able to recognize the type of RAM needed. You can still use the tools listed above or consult a specialist. What speed does my RAM run at? In Windows 10 open the Task-Manager (Control+Shift+Escape), then click on more details in the bottom left corner. Select the tab performance and click on RAM Now you will be able to see many values about your RAM including its speed. Where can I see how much memory I have installed in Windows 10? To see how much memory you have installed in your PC, you first need to open the Task-Manager. The you click on "more details" in the bottom left corner. Now choose Performance in the menu on the top, afterwards select Memory from the menu on the left. The you will not only be shown the amount of Memory in your System, but also further details, like how many slots are occupied. If there still is a free slot, you can easily double your memory by installing another one of the same modules already installed. 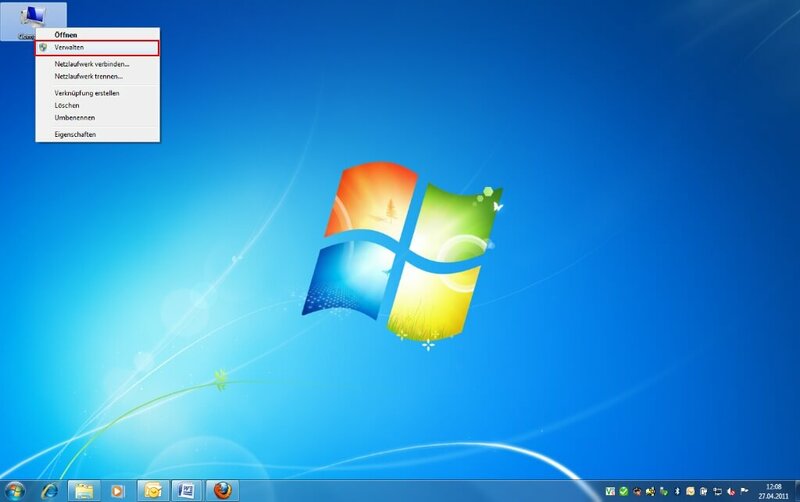 Where can I see how much RAM I have installed in Windows 7? Right-click on workplace, then left click properties. It could because you installed a 32-Bit operating system, since they can only address up to 4 GB of RAM. Additionally, other system components like your graphics card also need RAM. That is why if you have 4GB installed you won?t be able to utilize every last MB of it. A 64-bit operating system can address more than 4GB of RAM. So, you can install more than 4GB even in an older Notebook, provided the rest of the hardware supports it too. Windows crashes all the time and shows Bluescreens, is my RAM broken? There can be many reasons for your operating system crashing but bluescreens are often a clear sign for defective RAM. Error messages like "pci.sys could not be found" also hint at faulty RAM. You can use a memory test to check your RAM for faults. These can be found on every Ubuntu installation CD under "Memtest". On www.ubuntu.com you can download an image of this CD, burn it o a CD and boot your PC from it to execute the Memtest on it. Or you could bring your laptop to a technician, who can fix the fault for you. My Stylus is not working. What can I do? If your Stylus is using batteries, make sure you have inserted the right batteries in the right orientation and that they are fully charged. If this is the first time trying to use the stylus, you might have to remove a piece of insulation between the batteries and the contact. Usually this can just be pulled out from the side. If it is not using batteries, make sure the stylus is fully charged. If it is still not working, try restarting the device you are trying to use the stylus with or using it with another compatible device. If this should still not work contact us, or the manufacturer o the device. What can USB Type-C do? 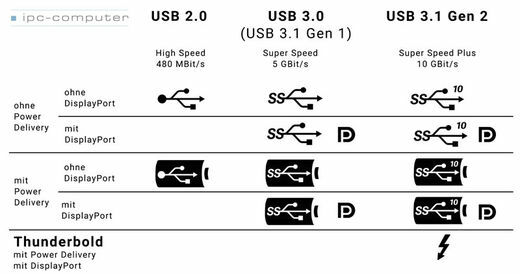 The newest USB standard is made to carry more than just USB signals. It can do a lot more than its predecessors. However, its functions can become a bit confusing. This is why we have listed the most prominent of its possibilities here for you. 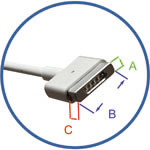 USB-data-transmission: All USB Type-C connectors, except those only meant for charging, can transmit USB signals. Although they can use whatever version of USB they want. If your phones USB-C plug uses USB 2.0, data transmission will be relatively slow. However, most USB-C connectors in computers use either USB 3.0 (aka USB 3.1 Gen 1) with 5 Gbit/s or USB 3.1 (aka USB 3.1 Gen 2) with 10 Gbit/s. Exact information on your device can be found at its manufacturer. Power delivery: USB-C allows charger and charged device to communicate with each other. Therefore, they can negotiate the right amount of voltage/current needed, up to 5 A at 20 V can be transmitted which is up to 100 watt. This even allows you to charge your notebook using USB Type-C.
Video: USB Type-C can also carry a DisplayPort signal. So, if the port supports it, an adaptor can be used to connect a monitor to it. Also, some smartphones support MHL, which allows the connection of a HDMI Display via an adaptor cable. Thunderbolt 3: Thunderbolt 3 was designed by Intel from the ground up to be transmitted via USB-C. It transmits an internal PCI Express signal, which can transfer up to 40 Gbit/s. There are hardly any limitations to what types of devices can be connected. Many solutions for external GPUs are available and you can also use it to connect high-speed LAN for workstations. It is also frequently used for connecting lightning fast external storage or docks, which fan out to multiple ports for USB, audio, video, and networking. Almost everything, that can be connected to a desktop using an expansion card dan be connected via Thunderbolt. Additionally, Thunderbolt can be daisy-chained to allow the connection of multiple devices via one port, which then share the bandwidth. Finally, Thunderbolt also carries a DisplayPort signal and allows for charging of the device. Further alt-modes on the way. It is safe to say that more alternative modes for USB-C are on their way. However, this will not only make the connection more versatile, but also more confusing for consumers. For example, there already is a mode for the connection of virtual reality headsets. Die verschiedenen Symbole kennzeichnen, welche Protokolle ein USB Typ-C Anschluss unterstützt. What is the difference between USB 1.0, 2.0, 3.0, ...? What is the difference between USB-C, USB-B snd USB-A? The difference between the specifications is their maximum throughput. The different USB Types A, B and C differ only in their physical form, the USB protocol they transmit is the same. USB Type-A is meant for the host, usually a PC, this host therefore has a USB Type-A socket. USB Type-B is used for the connected device, like a printer or hard drive. Next to the squarish connector there are also Type-B Mini and Micro connectors which are found on smaller devices like phones. USB Type-C is the newest formfactor and has been published in 2014. It is meant for hosts and clients alike and one of its main advantages is, that it is reversible. It also supports many other features and can do more than transmit USB.